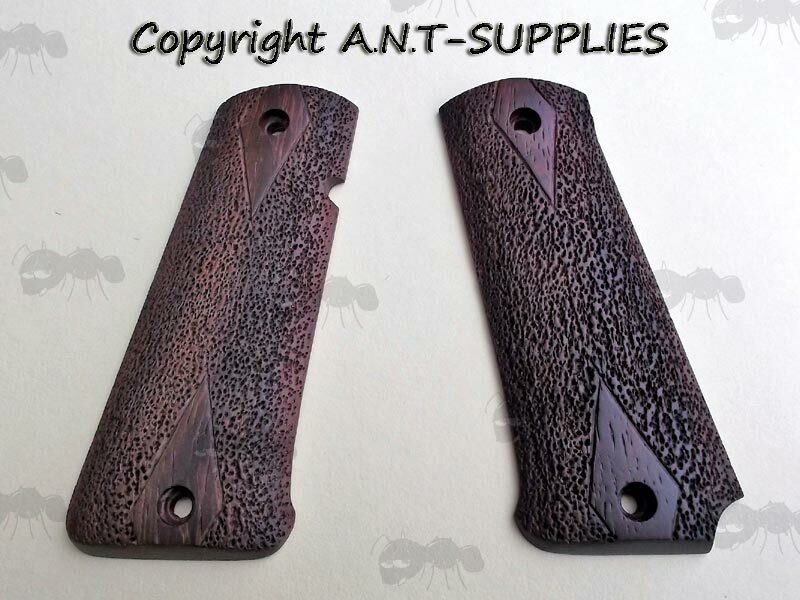 Handmade handle panels for Llama Special 9 pistols. 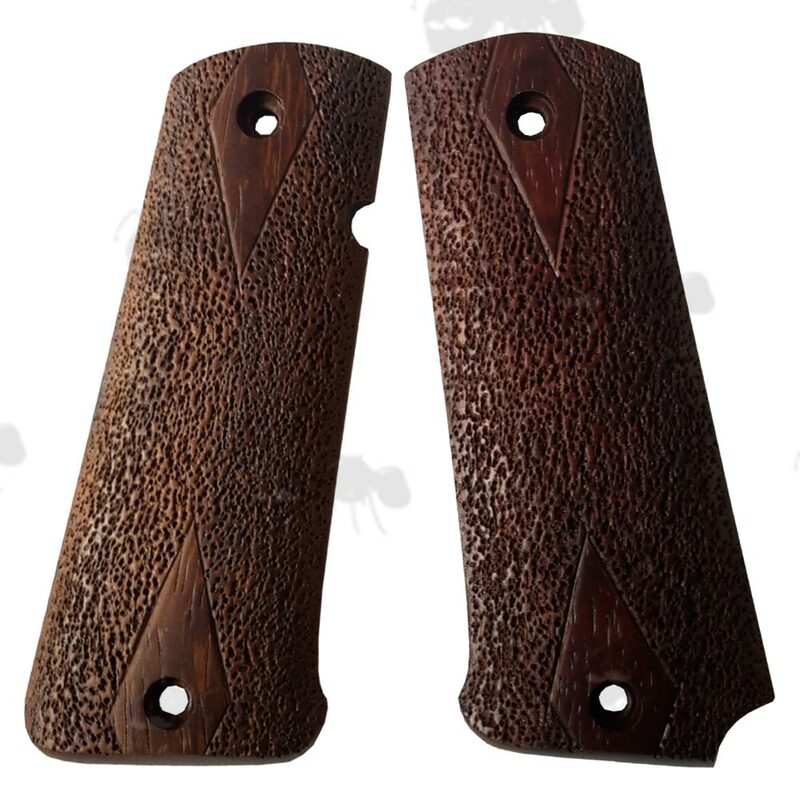 As such these are unique grips and may vary very slightly from the photos. Beautifully handmade grips for a Llama 9 Special. Pitted antique dark brown finish. Other models, colours and finishes are often available, so please feel free to contact us with requests. If you see this message, it means that your browser doesn't support iframes or they are disabled. You can access the information shown in this frame here: Pistol Accessories Product Scroller.